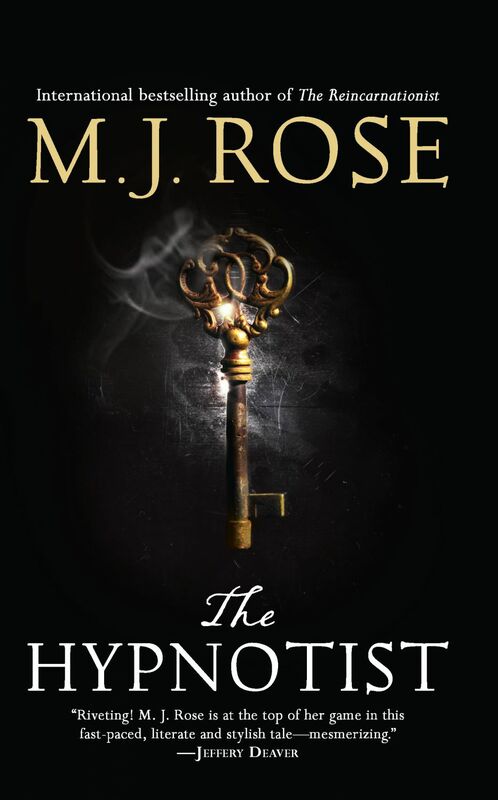 We are celebrating the trade paperback release of The Hypnotist with another tour! The Hypnotist is part of the non-sequential series, The Reincarnationist. Each book is a free standing novel, all set in the same world but with different main characters. Haunted by the murder of his lover — a beautiful young painter — Lucian Glass keeps his dark memories at bay by focusing on his work with the FBI’s Art Crime Team. Currently investigating a crazed art collector destroying priceless masterpieces, he becomes involved in a bizarre hostage negotiation that takes him undercover at the Phoenix Foundation. Under hypnosis he travels back to ancient Greece and nineteenth-century Persia, past life while the case takes him New York to Paris and the movie capital of the world. 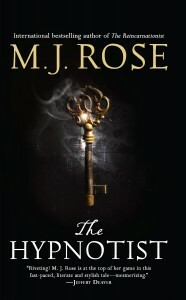 These combined journeys will shatter his understanding of reality, force him to question his sanity, and lead him into the center of an intricate plan to break in to the Metropolitan Museum of Art and steal Hypnos, the 1,500 year old sculpture of the Greek God of sleep, said to hold a secret that many would literally kill to uncover. M.J. Rose is the internationally bestselling author of several novels and two non-fiction books on marketing. The television series PAST LIFE was based on Rose’s Reincarnationist series. The real stories about how she was inspired to write each book in this series as well as the knowledge she has about reincarnation and the art world make Rose an interesting and compelling blog guest. She’d love to visit. Connect with MJ on her website, on Twitter, and on Facebook.